On our pursuit to raise the funds necessary for the trip to Indonesia, we have begun many funding opportunities. One that has proved to be fun for the whole family as well as those involved is our Flocking Fundraiser. That is until they were taken. 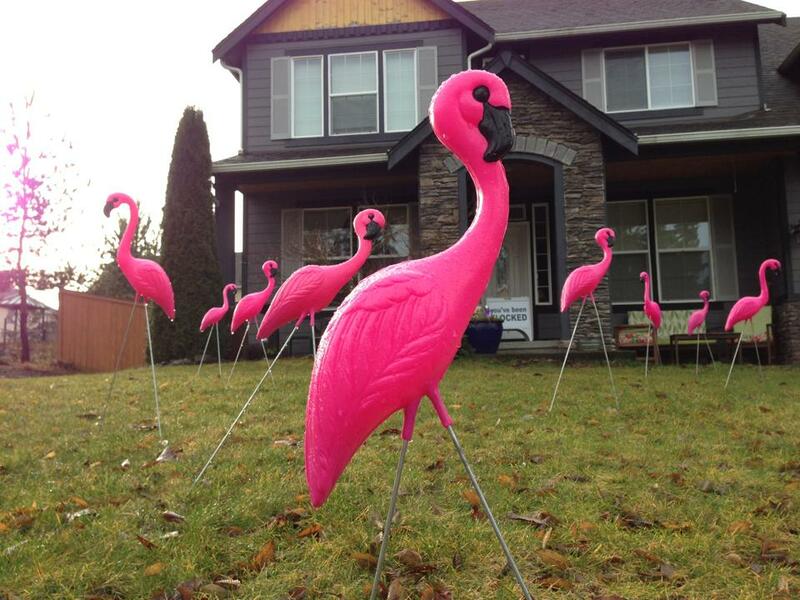 It’s simple, we place two dozen flamingos in a yard with an a-frame that says on both sides “You’ve Been Flocked”. The household can support our trip for the right to send the flock to the next home. Our kids were having a blast on our nightly “ninja” task “going in dark” to a house and sneaking around placing the flamingos and sign and getting out of there without being caught. Watching the comments on Facebook and social media from those getting flocked was a hoot. Contacting all the news agencies and authorities to get as many eyes open to see our flock and return it to us as quickly as possible because every night we miss “flocking” it will cost us an average of $30 and up in missed donations. Within 21 hours of the flamingos being taken our story has now gone front page on the local online newspaper Patch.com. They pushed it out to Twitter and Facebook and the sharing and liking began. With each view, not only does it raise the visibility of our flamingo fiasco, but gets the mission and vision of Open Life for global impact out there. All this has made me reflect on Genesis 50:20, “You intended to harm me, but God intended it for good to accomplish what is now being done”. Little did we know when we flocked a home on Saturday night the result would be much greater than that of another donation towards our trip to Indonesia. It was a platform for the vision and mission of this trip to be made known to a community and an open door for even greater impact within our region for the gospel.